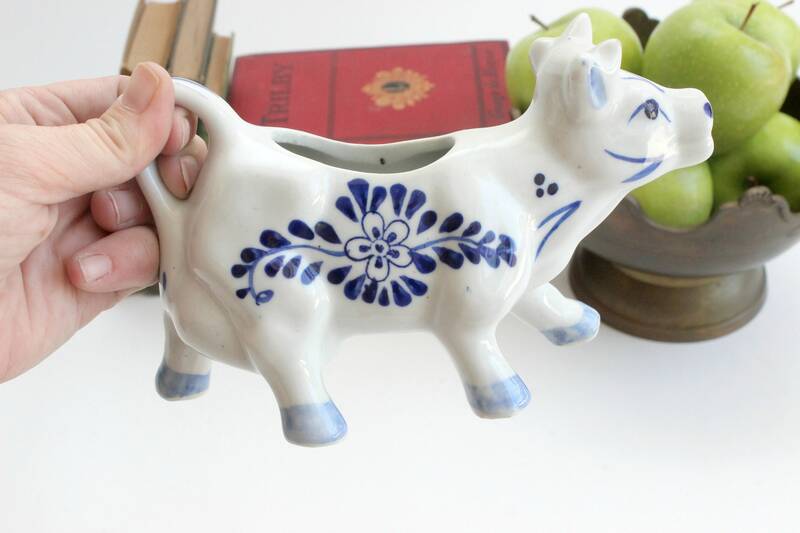 Porcelain cow creamer. 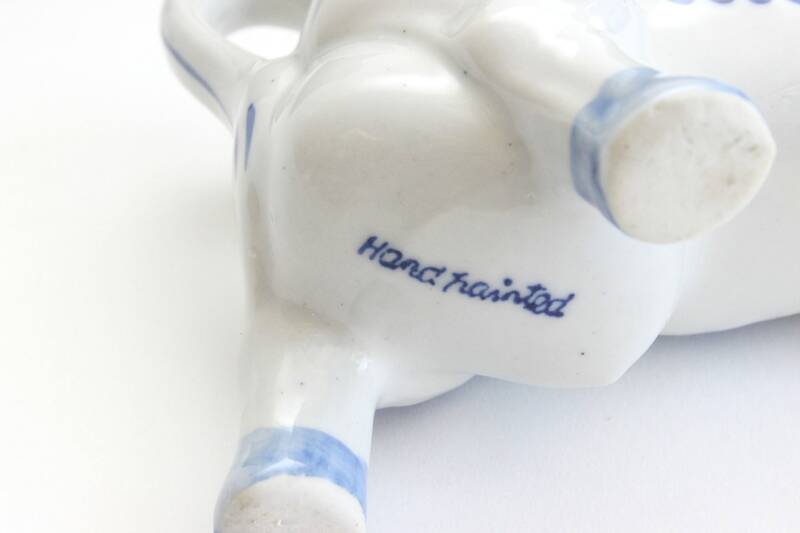 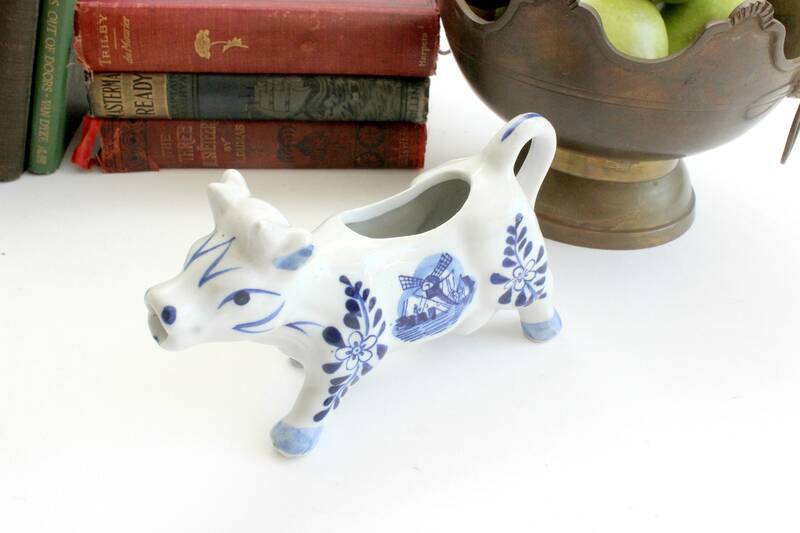 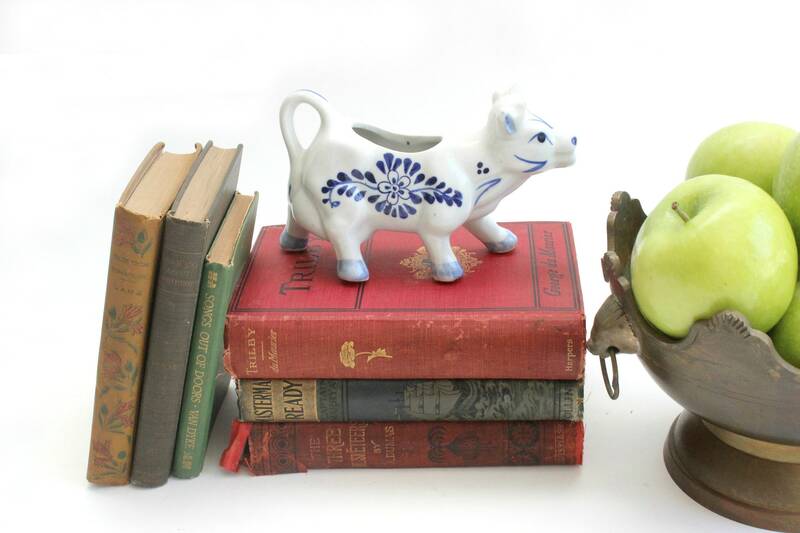 Hand painted blue and white ceramic cow creamer or gravy dish. 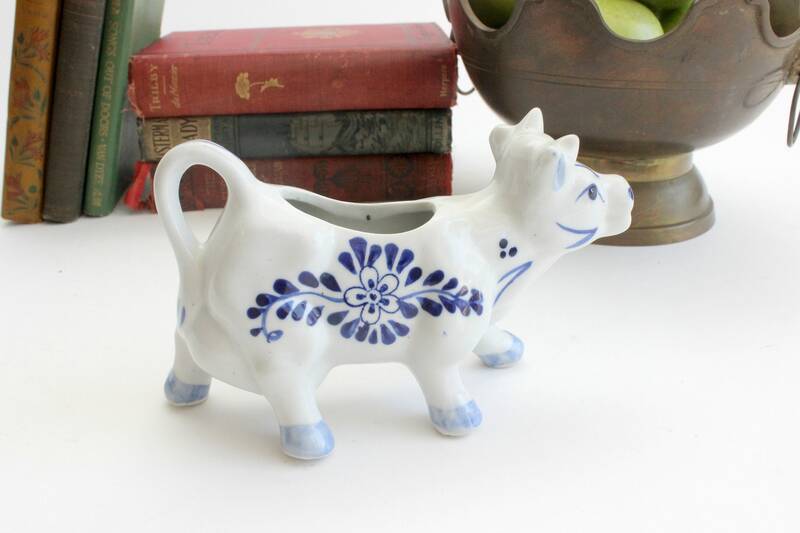 Floral and windmill design. 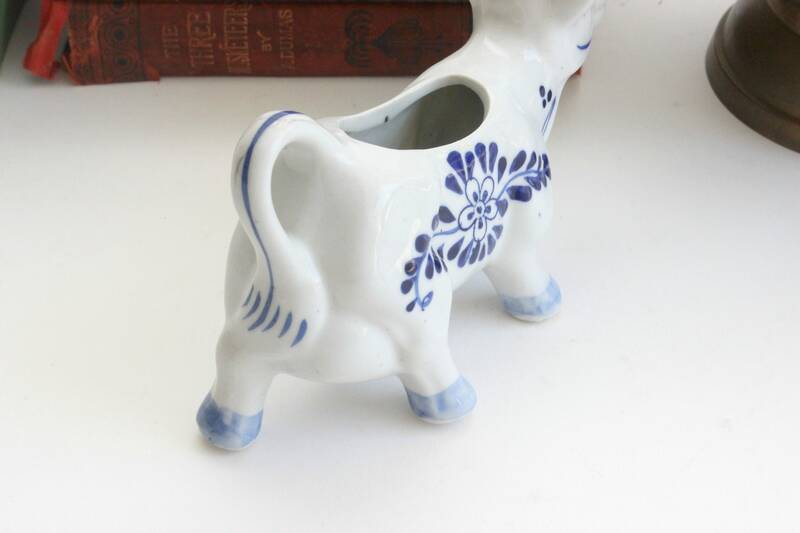 Perfect for a farmhouse style kitchen! 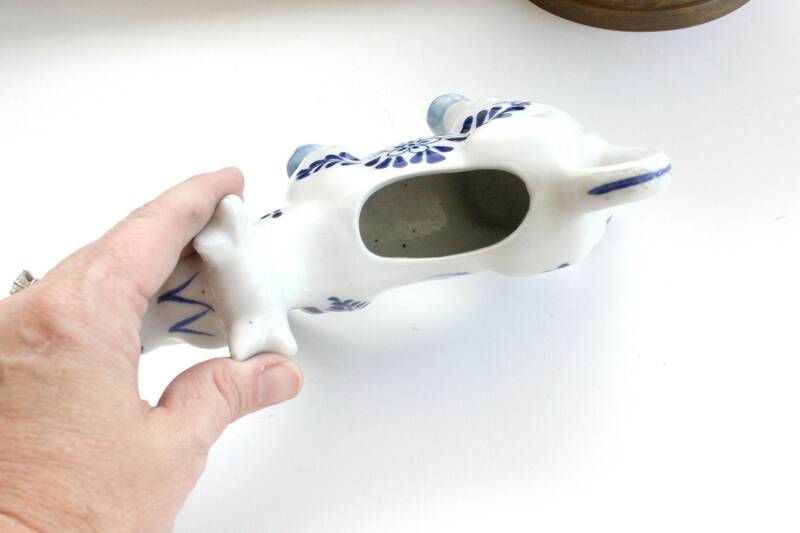 Measures 6.5 inches long, 2 inches wide, and 4 inches tall.